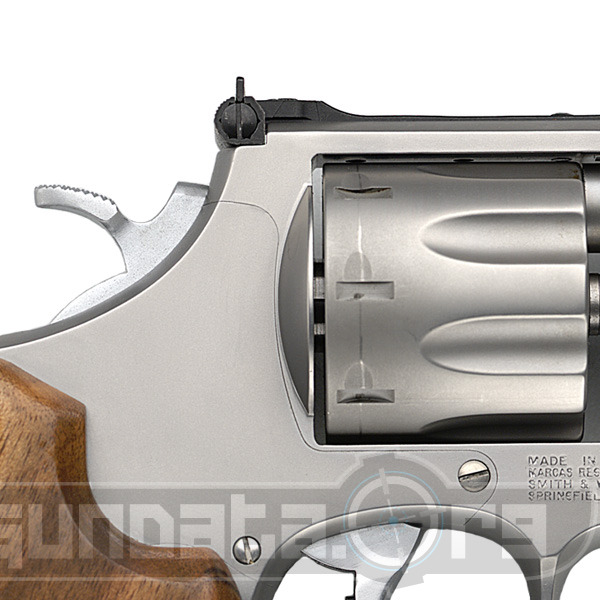 The Smith and Wesson Model 627 is a strange cookie in that it holds 8..not 6..but 8 rounds in the cylinder. One of the main critiques of revolvers is lack of capacity and an extra 2 rounds makes this comparable in carrying capacity to the 45. 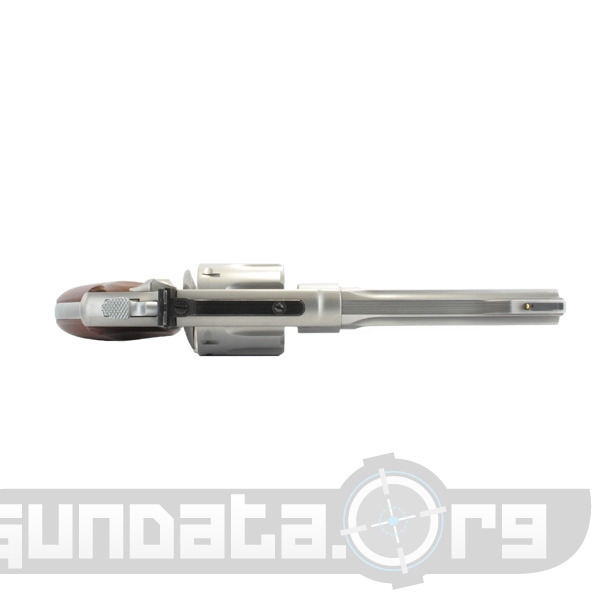 The frame, barrel, and cylinder are stainless steel with a wooden grip. 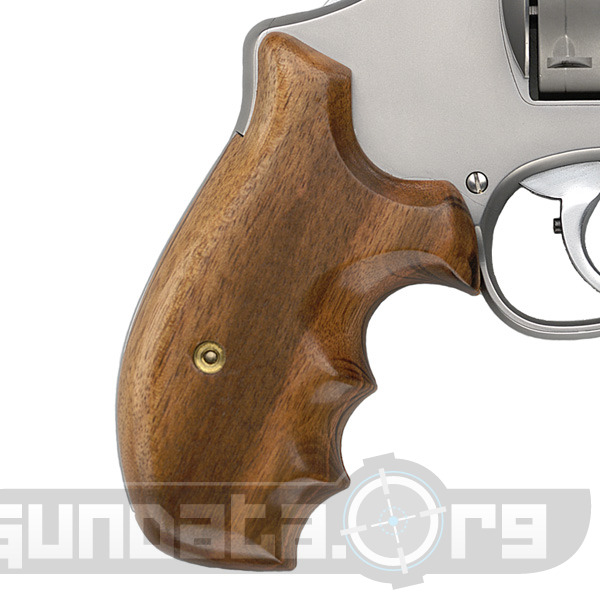 This revolver has an external standard hammer and is double action. It weighs a hefty 44oz unloaded, but again this weight helps cut back on the recoil. 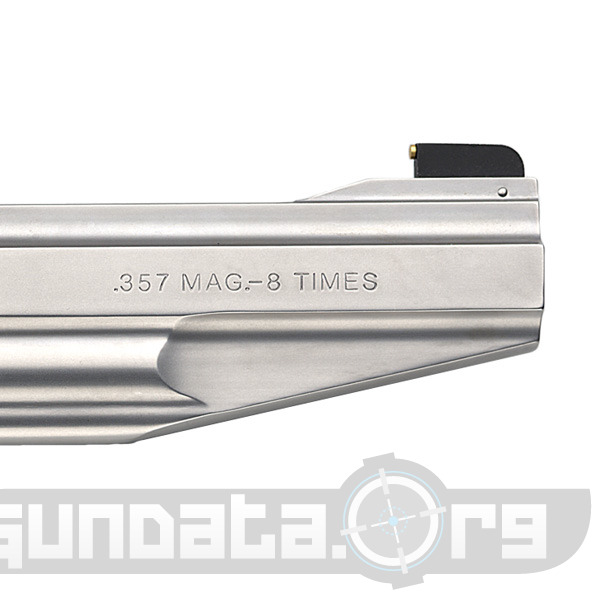 This revolver like most take both .357 and 38 special ammunition making it a bit more economical to shoot than just the standard 357. This gun is great for home defense, and recreational fun.